Announcements and speculation about upcoming Windows 8 tablets are coming in fast. Lenovo recently announced the Windows 8-based ThinkPad Tablet 2, following companies such as Asus, Fujitsu, Hewlett-Packard and Samsung into the Windows 8 fray. 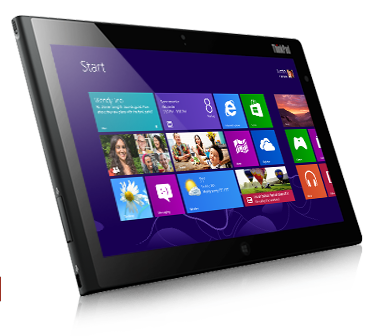 The ThinkPad Tablet 2 features a Clover Trail Intel Atom processor, 10.1-inch screen, 3G and 4G connectivity options, HDMI and USB ports and runs Windows 8 Pro. Pricing was not announced, but Lenovo’s new tablet will be available in October. Lenovo’s ThinkPad Tablet 2 sounds promising and will likely be a solid choice if you’re thinking about getting a Windows 8 tablet. Lenovo products such as the original Android-powered ThinkPad Tablet and the IdeaPad U300S ultraportable regularly make PCWorld’s top 10 lists. But there’s a whole lot more coming to store shelves near you starting in October. 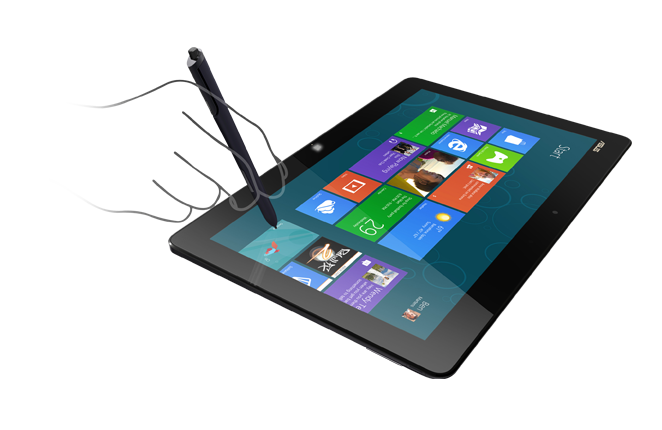 Here’s a look at seven other tablets you’ll want to keep your eye on as we get closer to the Windows 8 launch on Oct. 26. One of the first Windows 8 tablets out of the gate is expected to be Microsoft’s Surface for Windows RT. The 10.6-inch slate features a microSD slot, USB 2.0, micro HD, and Office Home & Student 2013. Surface RT is available with 32GB or 64GB of storage. Processor type, RAM and screen resolution are unconfirmed. Microsoft said pricing will be in line with similar competing tablets. The device is expected to launch Oct. 26, the same day as Windows 8. Asus in June showed off two tablets during the Computex trade show in Taiwan. The Asus 600 features a 10.1-inch Super IPS+ display with 1366-by-768 resolution, Nvidia Tegra 3 quad-core processor, 32GB storage, 2GB RAM, 8 megapixel rear-facing camera, 2MP front-facing camera, NFC, included clamshell keyboard dock and Windows RT. Pricing and availability were not announced. Asus’ second showing at Computex featured an 11.6-inch Super IPS+ display with 1366-by-768 resolution, Intel Atom processor, 2GB RAM, 64GB storage, 8MP rear-facing camera, 2MP front-facing camera, NFC, included clamshell keyboard dock, Wacom stylus and Windows 8. Pricing and availability were not announced. 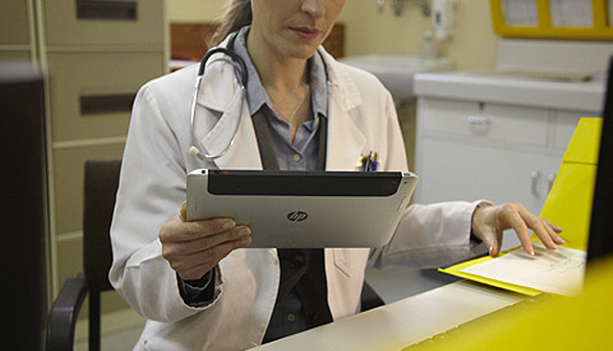 Hewlett-Packard announced in June that its first Windows 8 tablet would be an enterprise-only device. Consumer tech sites keep searching for possible reference designs on HP’s website (such as the included image) and in the company’s marketing materials. It’s not clear what the final tablet will look like, but purported leaked specs in April claimed the device would feature a 10.1-inch display, Clover Trail Atom processor and Windows 8 Pro. Samsung at Computex in June showed off the Samsung Series 5 Hybrid, but offered little in the way of specs. The device features an 11.6-inch display, Intel chip, front- and rear-facing cameras and a clamshell dock. The slate is still under development and subject to change. Neowin in June reported it had access to confidential document from Dell detailing an upcoming Windows 8 slate called the Dell Latitude 10. The purported Dell tablet would feature a 10.1-inch display with 1366-by-768 resolution, minimum 1.5 GHz Clover Trail Atom processor, up to 128GB SSD storage, four USB ports, Ethernet, HDMI, built-in mobile connectivity and a swappable battery. 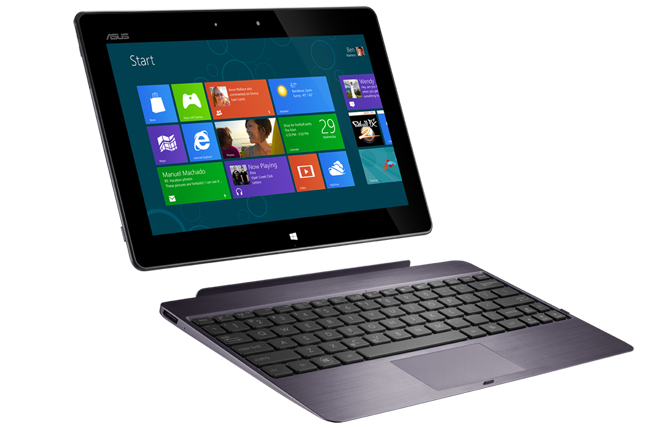 The Latitude 10 is slated for launch between mid-November and January 2013, Neowin says. Fujitsu in early July unveiled the Stylistic Q702, a Windows 8-ready hybrid featuring an 11.6-inch AH-IPS display, Ivy Bridge Core i3 or i5 processor, 4GB RAM, 64GB or 128GB SSD, SUB 2.0 and 3.0 ports, front- and rear-facing cameras, clamshell keyboard dock and optional mobile connectivity. Since this tablet is “Windows 8 ready” it will come loaded with Windows 7, but is designed to work with Windows 8. If you buy the device before Jan. 31, 2013, you should be able to upgrade to Windows 8 for $15. The Q702 will be available during the last three months of 2012 for $1,100.